As summer comes to a close, many of you have returned to school or will be starting back soon. 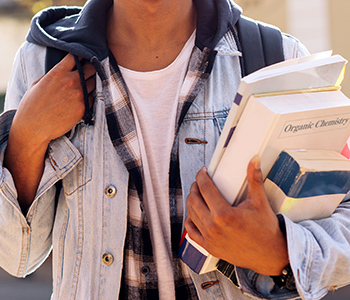 Whether you are working on an undergraduate or graduate degree, or possibly a certification program, you will want to start the academic year off on the right foot. Here are some of our best articles with information on back to school tips for success. Time Management Success – Time management is the key to success when trying to juggle work, family, and school. It’s all about the planning and scheduling. Cliff Crosby, former NFL player, shares his own personal story and tips he used while working on his master’s degree. Balancing Life, Work and Graduate School – Additional tips for those attending graduate school are listed. Grad school can be quite time-intensive and requires a balancing act with your other commitments. Four Tips to Overcome Procrastination – Start your classes strong by keeping up with reading and class assignments. Resist the temptation to procrastinate, as it will hurt you in the end. These tips will help train your mind to overcome procrastination to achieve academic success. How to Decode a Syllabus – Each course syllabus outlines the need-to-know information as deemed by the professor. Read the syllabus right away and use these tips to help you decode and navigate the syllabus to get the most information out of it. Talk to Your College Professors – “Talking regularly to my professor has been a lifesaver,” stated a former NFL player discussing keys to success during his return to school. Be sure to get to know your professors early on as it’s critical for success. These key points will help you communicate better with your professors. Five Financial Tips to Save You Money When Going Back to School – Attending college is not cheap, however, there are many ways to save money. Creating a budget, renting books, and completing the FAFSA, along with other financial tips, will help you save money while working on your education. Top Ten Tips for Back to School Success – Important academic tips include meeting with your college advisor on a regular basis and utilizing your school resources, such as tutoring services, writing centers, and technology departments (often all free services). Remember to contact your AthLife Advisor for academic assistance or with any changes to your scholarship enrollment plan. College Student Self-Care – Don’t forget to take care of yourself while you are in college. There are several steps you can take to help manage your stress and keep you healthy so you can focus on your education. As you return to school, keep in mind all of these articles with our best tips for back to school success. Be sure to reach out to your AthLife advisor with any questions or concerns as you work on your educational goals.